Newly elected Malaysian Prime Minister Mohammed Mahathir is adopting policies that could reshape the Southeast nation’s relations with powerful Gulf states. A series of anti-corruption measures as well as statements by Mr. Mahathir and his defense minister, Mohamad (Mat) Sabu, since this month’s upset in elections that ousted Prime Minister Najib Razak from office, are sparking concern in both Saudi Arabia and the United Arab Emirates. Mr. Mahathir, who has cautioned in recent years against widespread anti-Shiite sectarianism in Malaysia, has questioned together with Mr. Sabu Malaysia’s counterterrorism cooperation with Saudi Arabia. Mr. Razak is suspected of having syphoned off billions of dollars from state-owned strategic development fund 1Malaysia Development Berhad (1MDB). The fund as well as Saudi and UAE entities allegedly connected to the affair are under investigation in at least six countries, including the United States, Switzerland and Singapore. Apparently anticipating a possible change in relations, political scientist Abdulkhaleq Abdulla, whose views are often seen as reflecting UAE government thinking, disparaged Mr. Mahathir and the Malaysian vote days after the results were announced. Mr. Abdullah focused on Mr. Mahathir’s age. At 92, Mr. Mahathir is the world’s oldest elected leader. Mr Abdulla also harped on the fact that Mr. Mahathir had been Mr. Razak’s mentor before defecting to the opposition and forging an alliance with Anwar Ibrahim, Mr. Mahathir’s former deputy prime minister and an Islamist believed to be close to the Muslim Brotherhood, whom he helped put behind bars. UAE Crown Prince Mohammed bin Zayed is known for his intense opposition to political Islam, including the Brotherhood. “Malaysia seems to lack wise men, leaders, statesmen and youth to elect a 92-year-old who suddenly turned against his own party and his own allies and made a suspicious deal with his own political opponent whom he previously imprisoned after fabricating the most heinous of charges against him. This is politics as a curse and democracy as wrath,” Mr. Abdulla said on Twitter, two days after the election. Those difficulties are likely to recur. Putrajaya, a city south of Kuala Lumpur, is home to the prime minister’s residence and a bridge with four minaret-type piers that is inspired by Iranian architecture. 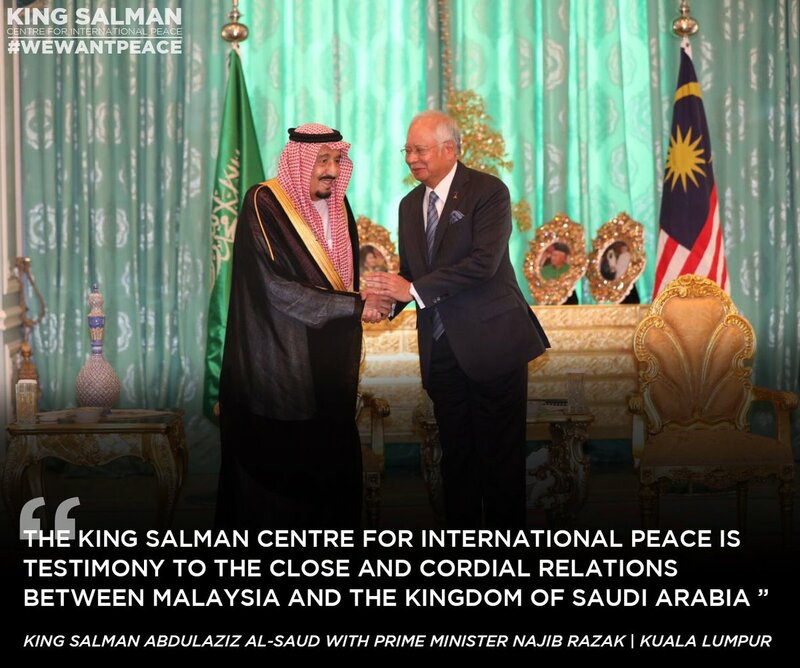 Since coming to office, Mr. Sabu has said that he was reviewing plans for a Saudi-funded anti-terrorism centre, the King Salman Centre for International Peace (KSCIP), which was allocated 16 hectares of land in Putrajaya by the Razak government. Mr. Sabu was echoing statements by Mr. Mahathir before the election. The opening of the centre was twice postponed because Saudi Crown Prince Mohammed bin Salman cancelled his planned attendance. Malaysian officials said the kingdom had yet to contribute promised funds for the centre. Shahriman Lockman, an analyst with the Kuala Lumpur-based Institute of Strategic and International Studies cautioned that Malaysia would have manoeuvre carefully. “Whether we like it or not, whatever we think of them, Saudi Arabia is a major player in the Muslim world and in the Middle East. Their administration of the haj makes it crucial for Muslim-majority countries to get along with them,” Mr. Lockman said. The fact that Mr. Mahathir’s election has sparked hopes that he will move Malaysia away from Mr. Razak’s embrace of Saudi-inspired ultra-conservative Islam as a political tool, despite the prime minister’s history of prejudice towards Jews and past anti-Shiite record, is likely to reinforce Saudi and UAE concern that his moves could favour Iran. Mr. Mahathir has vacillated in his statements between banning Shiism to avert sectarianism and calling on Sunni Muslims in Malaysia to accept the country’s miniscule Shiite minority as a way of avoiding domestic strife. What is likely to concern the Saudis most is the fact that Mr. Mahathir has said that accepting Shiites as fellow Muslims was necessary because of the growth of the Iranian expatriate community in Malaysia. Analysts say the presence has sparked a greater awareness of Shiism and Sunni animosity because of Mr. Razak’s divisive policies. Saudi and UAE worries about the reinvigorated anti-corruption investigation are rooted in the potential implication in the scandal of a Saudi commercial company, members of the Saudi ruling family, and UAE state-owned entities and officials. The investigation is likely to revisit 1MDB relationship’s with Saudi energy company PetroSaudi International Ltd, owned by Saudi businessman Tarek Essam Ahmad Obaid as well as prominent members of the kingdom’s ruling family who allegedly funded Mr. Razak. It will not have been lost on Saudi Arabia and the UAE that Mr. Mahathir met with former PetroSaudi executive and whistle blower Xavier Andre Justo less than two weeks after his election victory. A three-part BBC documentary, The House of Saud: A Family at War, suggested that Mr. Razak had worked with Prince Turki bin Abdullah, the son of former Saudi King Abdullah, to syphon off funds from 1MDB. UAE-owned, Swiss-based Falcon Bank has also been linked to the scandal while leaked emails documented a close relationship between Yousef al-Otaiba, the UAE’s high-profile ambassador to the United States and confidante of Prince Mohammed bin Zayed, and controversial Malaysian financier Jho Low, a 27-year-old Wharton graduate who helped Mr. Razak run 1MDB. The Wall Street Journal, citing not only emails, but also US court and investigative documents, reported last year that companies connected to Mr. Otaiba had received $66 million from entities investigators say acted as conduits for money allegedly stolen from 1MDB. The UAE embassy in Washington declined to comment at the time but admitted that Mr. Oteiba had private business interests unrelated to his diplomatic role. The embassy charged that the leaked emails were part of an effort to tarnish his reputation. Bank statements and financial documents reviewed by The Wall Street Journal, suggest that Khadem Al Qubaisi, a CEO of an Abu-Dhabi owned investment comapny, who has also been implicated in the scandal, facilitated the purchase by UAE deputy prime minister Sheikh Mansour Bin Zayed Al Nahyan’s brother of a $500 million yacht with 1MDB funds. “The impact of this election will reverberate far beyond Malaysia's borders,” said Asia director of the Centre for Humanitarian Dialogue Michael Vatikiotis. Mr. Vatikiotis was looking primarily at the fallout of Mr. Mahathir’s victory in Southeast Asia and China. His analysis is however equally valid for Saudi Arabia and the United Arab Emirates, where it could also prove to be embarrassing. How much solidarity with Iran can the China-led Shanghai Cooperation Organization afford? A planned China and Russia-led show of support for Iran at next month’s Shanghai Cooperation Organization (SCO) summit is likely to be primarily symbolic unless the group opts to honour the Islamic republic’s bid to be upgraded from observer to full member. Yet, even a symbolic SCO gesture at its June 9-10 gathering in the Chinese city of Qingdao that would denounce the US withdrawal from the 2015 international nuclear agreement with Iran and imposition of harsh sanctions could prove tricky. The meeting is expected to be attended by the presidents of China, Russia, Iran India, Pakistan, Kazakhstan, Kyrgyzstan, Uzbekistan and Tajikistan. It will come a day after the leaders of G-7 that groups the United States, the European Union, Japan, Canada, Britain, France and Germany are unlikely to find common ground on Iran at their summit in Quebec. Saudi Arabia and the United Arab Emirates will presumably not look kindly at solidarity at a time that the underlying motto of US and Saudi policy towards Iran appears to be isolation and regime change. 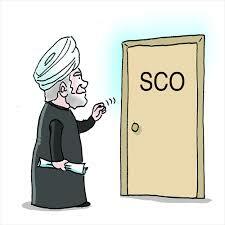 Saudi Arabia and the UAE moreover fear that membership in the SCO, which groups four Central Asian nations as well as Pakistan and India alongside China and Russia, would grant Iran a veto over their potential association with the grouping. With Israel and others interested in joining the SCO, that may be the reason why the group has so far dragged its feet on Iranian membership. China and Russia, like Europe are signatories of the nuclear agreement, but less concerned than Britain, France and Germany about the threat of US sanctions against their own companies who do business in Iran. At least officially, they have so far not factored in a potential Saudi and UAE response to efforts to defeat the sanctions and salvage the agreement. As a result, Chinese and Russian state-backed companies are manoeuvring to profit from European firms like French oil company Total that are leaving Iran in the belief that the European Union will not be able to shield them from US retaliation. Swiss lender Banque de Commerce et de Placements (BCP) said on Tuesday that it had suspended new transactions with Iran and was winding down Iran-related activities. Earlier, Germany's second biggest lender, DZ Bank, said it would halt financial transactions with Iran in July. For its part, India, despite being dependent on energy from the Gulf, has vowed to keep trading with Iran irrespective of the fallout from US sanctions. "India follows only UN sanctions, and not unilateral sanctions by any country," said Indian Foreign Minister Sushma Swaraj. Pakistan could find itself in the most difficult situation given its close political, military and cultural ties to Saudi Arabia and the UAE and its 700-kilometre long border with Iran. The degree to which SCO members could find themselves between a rock and a hard place will depend on what strategy the United States and Saudi Arabia adopt in possible attempts to change the Iranian regime. So far, the Trump administration appears to see economic pressure that would fuel already widespread discontent in Iran as its best bet. That could change however if efforts by SCO members as well as Europe succeed in countering US sanctions and salvaging the nuclear deal. Complicating the debate about how best to confront Iran is the fact that senior aides to President Donald J. Trump have close ties to a controversial Iranian exile group, the Mujahedeen-e-Khalq (MEK) or Holy Warriors of the People, seeking the overthrow of the government in Tehran that also enjoys Saudi support. The group, believed to be responsible for the killing of several American military personnel and contractors in Iran in the 1970s, was designated by the US Treasury in 1997 and delisted in 2012, a year after a host of former US and British officials, came out publicly in support of the group. Many of the officials have attended and addressed MEK rallies, allegedly in exchange for handsome fees and all-expenses paid trip. MEK, which first gained recognition for its opposition to the Shah of Iran, has denied paying for speaking engagements. Mr. Trump’s national security advisor John Bolton and Richard Giuliani, one of his top lawyers, were among the speakers. “The declared policy of the United States of America should be the overthrow of the mullah’s regime in Iran. Before 2019, we here will celebrate in Tehran,” Mr. Bolton told an MEK rally less than a year before his appointment by Mr. Trump. “The regime is evil, and it must go. Free Iran,” added Mr. Giuliani. Others who have backed the group include former FBI director Louis Freer, former British home secretary Lord Waddington, former US Homeland Security Secretary Tom Ridge, three former chairmen of the Joint Chiefs of Staff, two former directors of the CIA, former commander of NATO Wesley K. Clark, two former U.S. ambassadors to the United Nations., former national security advisers Fran Townsend and General James Jones, and 93 members of Congress. US officials said at the time that the group had been delisted after it had renounced violence and cooperated in closing a paramilitary base in Iraq from where it was operating since declaring its support in 1983 for Iraq in the Iran-Iraq war. The group also has the backing of Saudi Arabia, which has developed plans and invested in building blocks for potential covert operations to destabilize Iran. A Syrian opposition news website reported this week that Saudi Arabia was funding and providing logistical support to the US-backed Democratic Union Party (PYD), a battle-hardened Syrian Kurdish group that has proven its mettle in fighting the Islamic State. The public face of the kingdom’s backing of the MEK is former Saudi intelligence chief and ex-ambassador to Britain and the United States, Prince Turki al-Faisal. "Your legitimate struggle against the (Iranian) regime will achieve its goal, sooner or later. I, too, want the fall of the regime,” Prince Turki, echoing the statements by Messrs. Bolton and Giuliani, told an MEK rally in Paris in 2017. A 2012 report by the Library of Congress identified Mr. Khodabandeh and his wife as Iranian intelligence agents. The report said the couple had agreed to cooperate with the Iranian Ministry of Intelligence and Security after it threatened to kill Mr. Khodabandeh’s brother and confiscate extensive real estate holdings in Tehran owned by his mother. More recently, MSNBC’s Richard Engel reported that Gulf states had funded construction of an MEK military base in Albania. The MEK has denied receiving any foreign assistance, insisting that it is wholly funded by members and supporters. The MEK is widely believed to have been responsible for a series of bombings in Iran in the immediate aftermath of the 1979 toppling of the Shah. that killed scores of post-revolution leaders. Dutch media reports suggested last week that an Iranian exile killed in Amsterdam in 2015 was an MEK operative who had been sentenced to death in Iran for bombing a gathering of officials in Teheran in 1981. Seventy-three people were killed in the attack, including Ayatollah Mohammed Beheshti, the second most powerful cleric at the time after Ayatollah Ruhollah Khomeini, as well as four ministers and numbers of members of parliament. It’s unclear what degree of support the MEK enjoys in Iran today with many analysts convinced that the group lost sympathy when it sided with Iraq against Iran. Groups associated with the MEK have claimed credit for protests in recent years in the oil-rich province of Khuzestan, that has a significant ethnic Arab population. Iranian Arab activists deny the groups’ assertions. Saudi backing of groups like the MEK and PYD as well as ultra-conservative, anti-Shiite, anti-Iranian forces in the troubled Pakistani province of Balochistan that borders on Iran could potentially pose a serious problem for the leaders of the SCO. Heightened tension in Balochistan could threaten China’s $50 billion plus infrastructure and energy investment in the China Pakistan Economic Corridor (CPEC), a crown jewel of the People’s Republic’s Belt and Road initiative. So far, China is in good company with much of the international community opposed to abrogation of the Iranian nuclear agreement and, at least in word, determined to defeat US efforts to bring Iran to its knees with sanctions. Yet, like many in the international community with Europe in the lead, China may find that putting its money where its mouth is could prove in the final analysis problematic. Similarly, Russia has much at stake after having forged close cooperation with Saudi Arabia in managing world oil prices while attempting to ensure that Iran’s presence in Syria does not escalate into a war with Israel. If Europe’s Achilles Heel is obstacles to putting credible mechanisms in place to protect its companies against US sanctions, China’s weak spot is its ruthless campaign to tame Islam in China, particularly among Uighurs in the strategic northwest province of Xinjiang. So far, it has been able to do so with little international response because Saudi Arabia and other Islamic states have looked the other way. The question is whether an effective Chinese countering of US sanctions that would significantly weaken the impact on Iran may prompt Saudi Arabia and others to revisit the issue. When strongman Ramzan Kadyrov last month opened The Local, a United Arab Emirates-funded luxury hotel in the Chechen capital of Grozny and prepared to receive Egypt’s World Cup qualifying national team as its first guests, he was cashing in on more than the Russian region’s Muslim identity. Eager to forge close ties to Middle Eastern nations, Mr. Kadyrov, who tightly controls Chechen sports, was cashing in on the fact that he has aligned himself with like-minded governments that not only stand out in their repression of dissent, but also their efforts to oppose Saudi-inspired ultra-conservative Sunni Muslim Islam. 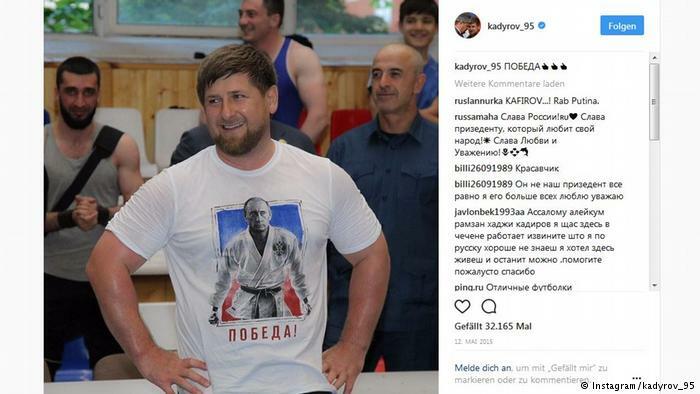 Mr. Kadyrov, a barrel-chested man who recognizes the political utility of sports and is widely seen as a henchman of Russian President Vladimir Putin, earned his credentials by brutally suppressing an Islamist insurgency in Chechnya during his decade-long tenure. 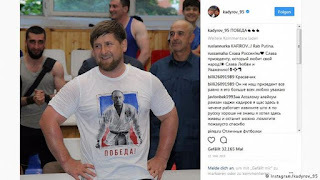 Speaking to The Washington Post, Beslan Visambiev, a manager of a Grozny-based UAE investment fund, suggested that Mr. Putin was using Mr. Kadyrov as his point man in the Muslim world. “It seems like Putin delegated those powers to Kadyrov,” Mr. Visambiev said. Mr. Visambiev echoed Mr. Kadyrov’s own words four years earlier when he addressed 20,000 members of his militia in a Grozny stadium. “The time has come for us to make our conscious choice, and we say this to the whole world that we are the combat infantry of Vladimir Putin,” Mr. Kadyrov said quoting a speech given by his father shortly before he was assassinated in 2004. Criticism by human rights groups of the UAE’s investment and Egypt’s choice of Grozny has focussed on Chechnya rather than the Emirates and Egypt, even if both countries have recently been in the news for their own alleged violations of basic rights. The US the House of Representatives last week voted to investigate a potential US role in torture in a UAE-operated network of prisons in Yemen. A close US ally, the UAE stands accused of being a “colonizing force” in Yemen that supports extremist militias responsible for violence against Yemeni activists and Islah, a Muslim Brotherhood-linked political party, and a bete noire of UAE crown prince Mohammed bin Zayed. In recent days, Egypt, whose prisons are filled with an estimated 60,000 political prisoners, arrested Hazim Abdelazim, a one-time campaigner turned critic for general-turned-president Abdel Fattah al-Sisi, and prominent blogger and activist Wael Abbas. Mr. Kadyrov, whose human rights record, like that of Prince Mohammed and Mr. Al-Sisi, has been questioned, has denounced allegations of abuse as a “myth” designed to destabilise his government. Yet, Mr. Kadyrov’s notion of a more liberal interpretation of Islam is not dissimilar to that of Mr. Al-Sisi or Prince Mohammed, even if the effective UAE ruler has been not quite as harsh in measures against transgender, gay, and gender non-conforming people. Both Chechnya and Egypt have in the last year brutally targeted gays, prompting Human Rights Watch to demand that world soccer body FIFA oppose a proposed Egyptian anti-LGBT law and to demand the release of Oyub Titev, the head of Chechnya’s only still operating human rights group. The bullet-riddled body of Mr. Titev’s predecessor, Natalia Estemirova, was dumped by the road shortly after she was kidnapped in 2009. The fact that Egypt and the UAE are the vehicles Mr. Kadyrov is using to exploit this month’s World Cup in Russia in a bid to project Chechnya on the world stage in a more positive light and polish his tarnished image is no coincidence. Both the UAE and Egypt have been in the forefront of efforts to counter political Islam and promote more quietist, apolitical interpretations of the faith that counter Saudi-style ultra-conservatism and are more in line with their vision of autocratic rule even if both countries are closely aligned with the kingdom. The UAE has quietly nurtured the creation of moderate Islamic institutions such as the Muslim Council of Elders, the Global Forum for Prompting Peace in Muslim Societies and the Sawab and Hedayah Centres in a bid to counter the influence of controversial, Qatar-based Islamic scholar, Sheikh Yusuf al-Qaradawi, the Muslim Brotherhood, and more militant Islamist forces. Mr. Al-Sisi, an observant Muslim who in a 2006 paper argued that democracy cannot be understood without a grasp of the concept of the caliphate, has been advocating with limited success that Al Azhar, one of the Muslim world’s foremost institutions and the world’s oldest seat of Islamic learning, spearhead “a religious revolution” to counter militancy. Mr. Kadyrov, who professes to be a Sufi, a more mystical interpretation of Islam, facilitated in 2016 a high point of the Emirati and Egyptian efforts when he hosted in Grozny a gathering of prominent Sunni Muslim leaders that effectively excommunicated Saudi-backed ultra-conservatism. In a frontal assault on Saudi-backed religious movements such as Wahhabism, Salafism and Deobandism, the conference charged that the label Sunni had been hijacked by heretics whose deviant practices distorted Islam. In defining Sunni Islam, the conference explicitly excluded Wahhabism, the version of Islam long propagated by Saudi Arabia, as well as Salafism and Deobandism from its definition. Mr. Kadyrov’s alliance with the UAE and Egypt has allowed him to exploit Russia’s hosting of the World Cup even if Chechnya will not be a venue for any of the competition’s matches. The UAE-Egypt-Chechnya alliance may have produced economic benefits but appears to have done little to improve the tarnished image of the Russian republic or Mr. Kadyrov himself. "FIFA's decision to use Grozny for a World Cup team camp is absolutely shocking and outrageous. FIFA should reverse their decision and move the training camp to another city, " said Human Rights Watch associate director Jane Buchanan. The more than a decade-long Israel-Lebanon hummus wars are both a struggle to claim whose food it is, counter perceived Israeli attempts to colonize Palestinian and Levantine culture, and an effort to make an international mark though securing a place in the Guinness Book of Records by competing for the title of having made the largest pile of the chickpea dip. Hummus symbolizes “all the tension in the Middle East," says Israeli food journalist Ronit Vered. "We were not trying to prove something, but to remind people that we should take the international market more seriously. (In the U.S.), if you question that hummus is Israeli, you're an outcast, but hummus existed long before Israel," said then Lebanese tourism minister Fadi Aboud. The owner of a popular restaurant in Abu Ghosh, Mr. Ibrahim months later cooked up a 4,090- kilogram hummus that was served in a satellite dish. "It was (a) big issue ­­that hummus was Lebanese. I said, 'No, hummus is for everybody.' I hold a meeting in the village and I say, 'We are going to break Guinness Book of World Record.' Not the Israeli government, the people of Abu Gosh,” Mr. Ibrahim said. Sweden’s official Twitter account, featuring Swedish multi-national Ikea’s rendering of the dish, admitted that Swedish King Charles XII had brought the recipe from Turkey in the early 18th century when returned from five years in exile. “Let's stick to the facts!” Sweden said. A recent upsurge in insurgent activity in Kashmir likely explains Pakistani and Chinese reluctance to crackdown on internationally designated militant Hafez Saeed and the network of groups that he heads. So does the fact that Mr. Saeed and Lashkar-e-Taiba, an outlawed, India-focused ultra-conservative Sunni Muslim group widely seen as one of South Asia’s deadliest, have assisted Pakistani intelligence and the military in countering militants like Tehrik-i-Taliban Pakistan, the Pakistani Taliban, that have turned against Pakistan itself. Lashkar-e-Taiba has also been useful in opposing nationalist insurgents in Balochistan, a key node in China's Belt and Road initiative. The China Pakistan Economic Corridor (CPEC), a $50 billion plus China investment in Pakistani infrastructure and energy, is the initiative’s single largest cost post with the Baloch port of Gwadar as its crown jewel. 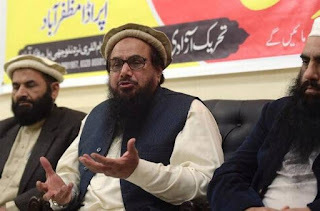 The United States has put a $10 million bounty on the head of Mr. Saeed, who is believed to lead Lashkar-e-Taiba (LeT) as well as Jamaat-ud-Dawa, an alleged LeT front, and is suspected of being the mastermind of the 2008 Mumbai attacks in which 166 people were killed. Lashkar-e-Taiba is "not only useful, but also reliable. (Its)...objectives may not perfectly align with the security establishment’s objectives, but they certainly overlap," says international security scholar Stephen Tankel. The links between Lashkar-e-Taiba and the Pakistani security establishment are reflected in the fact that the group has recruited in some of the same areas as the military and that some former military officers have joined the group. The relationship is reinforced by a fear in parts of Pakistan's security establishment that the group’s popularity, rooted partly in social services provided by its charity arm, would enable it to wage a violent campaign against the state if the military and intelligence were to cut it loose. So far, Pakistan with tacit Chinese backing appear to see mileage in the group’s existence as a pinprick in India’s side even if creating the perception of greater distance to the security establishment has become a more urgent necessity because of international pressure. One way of doing so, is the apparent backing of Pakistani intelligence and the military of Mr. Saeed’s efforts to enter the political mainstream by securing registration of a political party in advance of elections expected in July. Pakistan’s election commission has so far held back on the application. Indian officials are not so sure. In a world in which demarcations between various militant groups are blurred, Indian intelligence expects a spike in attack in Kashmir this summer as a result of Lashkar-e-Taiba operatives joining groups like Jaish-e-Mohammed (JeM) and the Hizbul Mujahideen (HM). Twenty-two security personnel and six civilians were either killed or injured in seven attacks in Kashmir in the first five weeks of this year. India said Lashkar-e-Taiba was responsible for an attack in March on soldiers and policemen in which three Army personnel, two policemen, and five militants were killed. Another 20 were killed in clashes in April between Lashkar-e-Taiba and security forces. Lashkar-e-Taiba’s utility notwithstanding, Pakistan and China are discovering that engagement with militants is never clean cut. Decades of Pakistani support of often Saudi-backed ultra-conservative Sunni Muslim militants has woven militancy into the fabric of militancy into segments of the military, intelligence, bureaucracy and the public. “A military–mullah–militant nexus has existed for several decades in Pakistan. During this time, the Pakistani military has used religious and political parties connected, directly or indirectly, to various militant outfits as political proxies,” Mr. Tankel said. Decades later, the strategy is backfiring. Concern of increased domestic violence if Pakistan were to cut its links to militants and crackdown on them irrespective of their utility is heightened by the fact many of the groups operate either with no regard for the concerns of the security establishment or with the unsanctioned support of individual military and intelligence officials. That is believed to have been the case in a string of sectarian attacks in Balochistan by Lashkar-e-Jhangvi (LeJ), ultra-conservative, anti-Shiite Sunni Muslim militants, in which hundreds of Shiites have been killed. China has also been a target of militants in Balochistan. The spike in sectarian attacks prompted a military crackdown earlier this month. “While such intelligence-based operations are vital, they deal with the symptoms rather than the disease,” cautioned Dawn newspaper. Speaking in September last year in New York when he was still foreign minister, Khawaja Muhammad Asif acknowledged that Mr. Saeed and other Pakistani-backed militants have become liabilities. But even so, Mr. Asif appeared to be looking for wiggle room. “I accept that they are liabilities but give us time to get rid of them because we don't have the assets to match these liabilities,” Mr. Asif said.